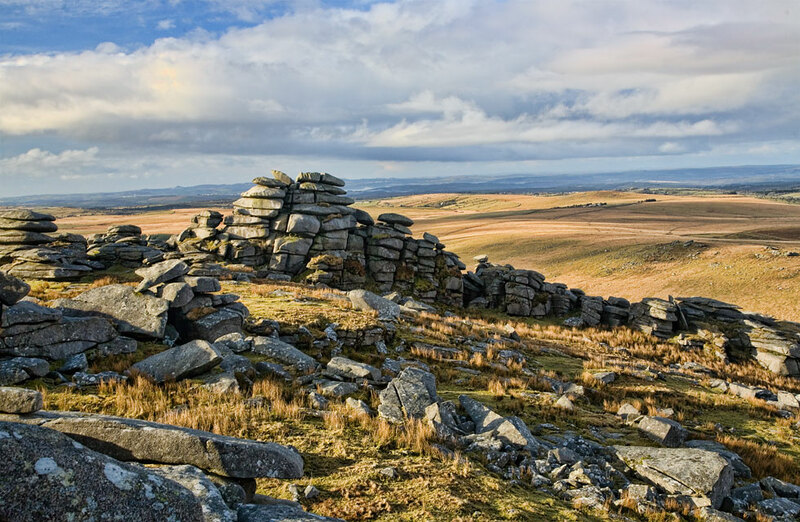 Bodmin Moor, one of Cornwall's designated Areas of Outstanding Natural Beauty, is a remote, bleak heather covered upland granite moorland still grazed by moorland ponies and bisected by the main A30 road. 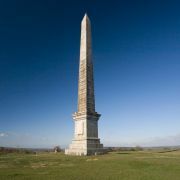 North of the A30 lie Cornwall's two highest peaks, Rough Tor and the slightly taller Brown Willy, which reaches a height of 420 metres (1,377 ft) above sea level. 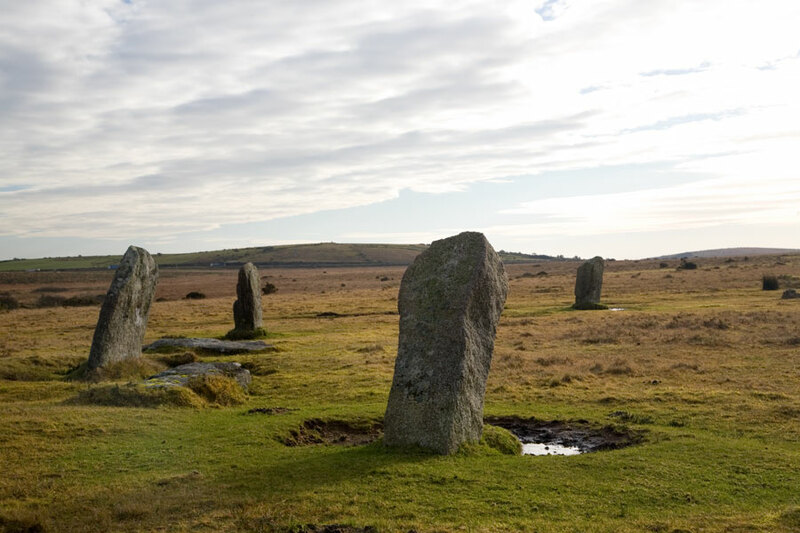 More than a hundred Bronze Age hut circles have been excavated on the slopes of Rough Tor, along with a Neolithic Tor Enclosure and the foundations of a Medieval chapel. The wild and windswept 'high moor' is also home to Cornwall's highest church, located in the village of St Breward, starting point of the Camel Trail. 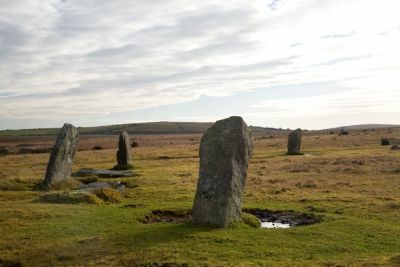 Manor Common, near the attractive village of Blisland, was first recorded in the Domesday Book and the area is home to a couple of Cornwall's more interesting stone circles, the Trippet Stones and the Stripple Stones Henge, as well as the ten foot high Jubilee Rock and a peculiar arrangement of stones known as King Arthur's Hall. 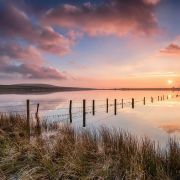 South of the A30 lies Siblyback Lake, one of Cornwall's best locations for inland watersports offering tuition, equipment for hire and an informal campsite. 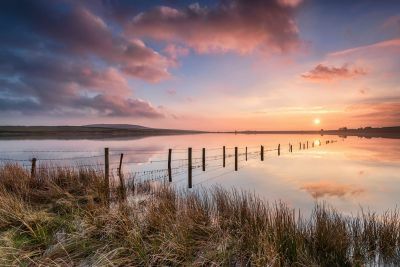 Siblyback and it's creepy little sister, Dozmary Pool, where many believe King Arthur's sword Excalibur still lurks, are easily accessible from Bolventor, site of the famous Jamaica Inn, which featured in the smugglers tale of the same name by Daphne du Maurier. 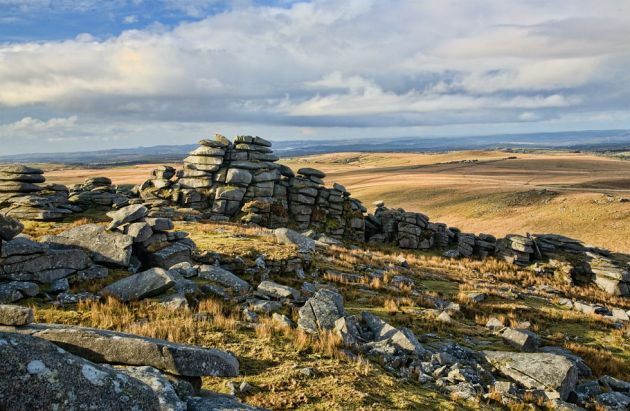 Legends and ghost stories abound on Bodmin Moor, while countless reports of a black panther-like big cat have given rise to a phenomenon called The Beast of Bodmin Moor, given to savaging livestock in the dead of night. 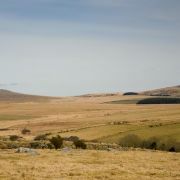 Bodmin Moor was densely populated during the Bronze Age and numerous fascinating archaelogical remains have been uncovered, including impressive Bronze Age cairns on the slopes of Brown Gelly, the remains of more than fifty Neolithic hut circles on Leskernick Hill, and the impressive Trethevy Quoit, near the village of Minions. 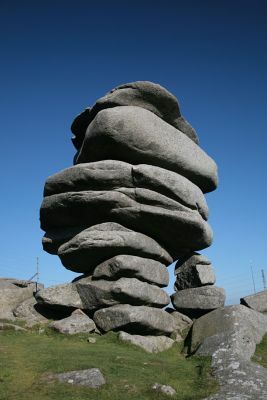 Minions is close to numerous other places of interest including Rillaton Barrow, the famous Hurlers stone circles, Daniel Gumb's Cave, and The Cheesewring, a striking wind eroded formation of circular granite rocks balanced on top of each other said to be the result of an epic struggle between the giants and the saints. 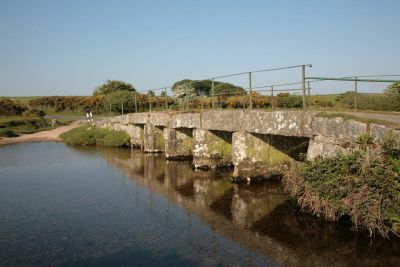 As well as Neolithic and Bronze Age remains, Bodmin Moor boasts a wealth of other historical features, including Medieval clapper bridges, such as the Delford Bridge which spans the De Lank river near St Breward, and the best-preserved Celtic Holy Well in Cornwall, that of St Cleer, near Bowithick. 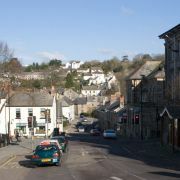 Trewint, near Altarnun, has strong associations with John Wesley, the founder of the Methodist church, who used to stay in what is now Wesley Cottage on his numerous visits to Cornwall. Like much of Cornwall, Bodmin Moor was fairly heavily mined during the nineteenth century. Ruins of disused grantie qurries and tin and copper mines litter the landscape, including the Phoenix United mine in Minions, where there is a visitor's centre. 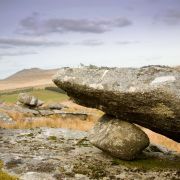 Although for the most part it is privately owned, since 2000 much of Bodmin Moor has been designated open access land and there are excellent opportunities for hiking and other outdoor activities. 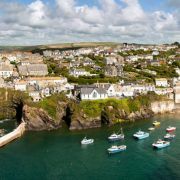 The southern fringes are home to Cardinham Woods, six hundred and fifty acres of forestry commission woodland, whose steep valley sides are criss-crossed with walking and mountain-biking trails. The popular and much-visited Golitha Falls lies on the road between Bolventor and St Neot, while longer trails include Mark Camp's Copper Trail, a sixty mile, ten day round trip of the entire moor.